Texas's El Paso Zoo is running a promotion called Quit Bugging Me that allows people to name cockroaches after ex-spouses, former friends or anyone else on their nope list, and have them fed to animals. Texas's El Paso Zoo is running a promotion called "Quit Bugging Me" that allows people to name cockroaches after ex-spouses, former friends or anyone else on the nope list. On Thursday, the cockroaches will be fed to various zoo animals. Sarah Borrego, the event coordinator at the El Paso Zoo, told CBC News that the response to the event has been "overwhelming." The zoo received about 6,000 names by the time it decided to stop accepting submissions on Sunday. 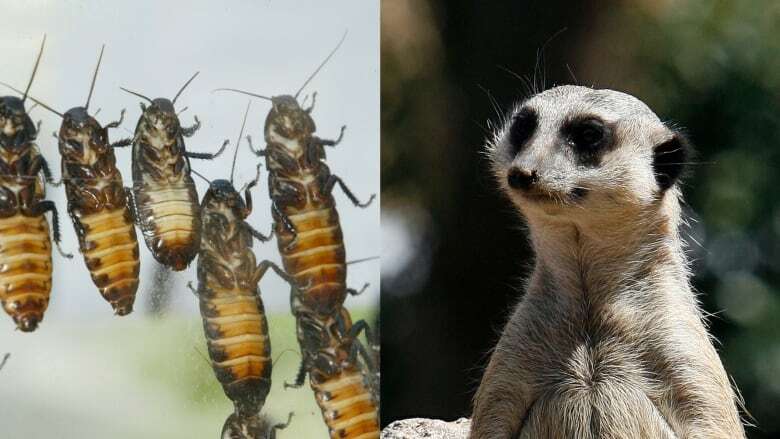 She said with so many names, the zoo announced it would feed cockroaches not just to its meerkats, as initially planned, but also to some of its primates and birds. "We wanted to spread the wealth, spread the love," she said. 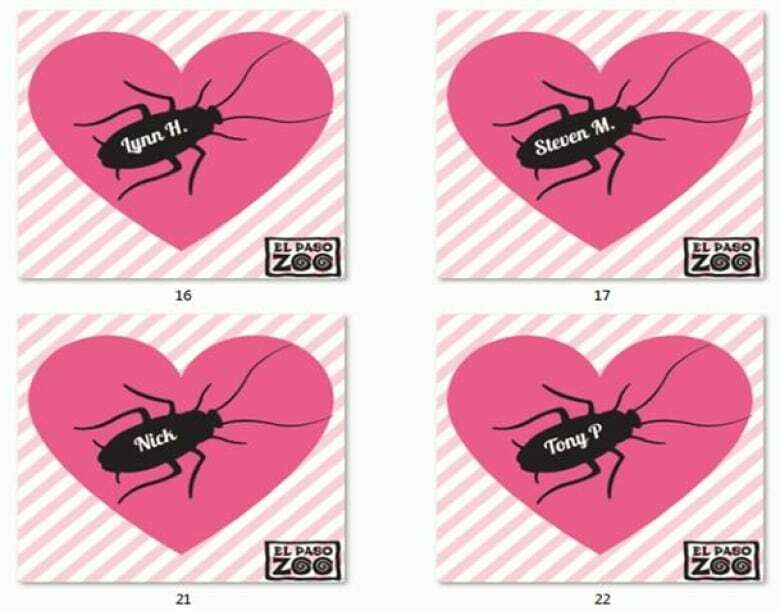 The zoo's Facebook page features dozens of pink-heart graphics showing black cockroaches and various first names or initials of people's exes.